A Buttress is an architectural structure which serves to support or reinforce a wall. In the music point of view of the founding members, Buttress is a record label which aims to give a solid contribute to djs, dancers and listeners of electronic music in their daily mission to build the soundtrack of their lifes. 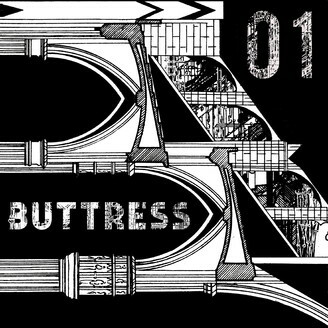 The first of the very own "Cross Vault" series, it represent Buttress' first offers. It comes in the form of a four tracker ep including music from Musumeci, Lehar and Enzo Elia delivering their distinctive combination of melodies and rhythms.